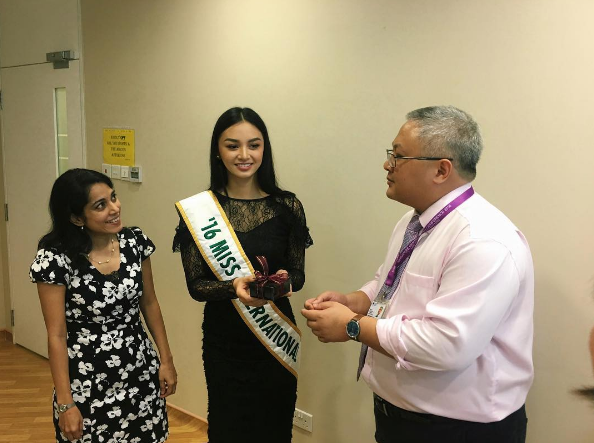 It has only been a little less than 4 months since Kylie Verzosa was crowned Miss International 2016 in Japan, but the sixth Pinay Miss International queen has kept herself busy with the advocacies she's pushing forward. Kylie is now in Singapore and works with different organizations to push her advocacies forward. Kylie's advocacy focuses on illnesses such as depression, anxiety and bipolar disorder. She was warmly welcomed by the Institute of Mental health as she talked about the need for awareness of these sicknesses. "At the residence of the Philippine Ambassador to Singapore, where I got to talk about my advocacy. 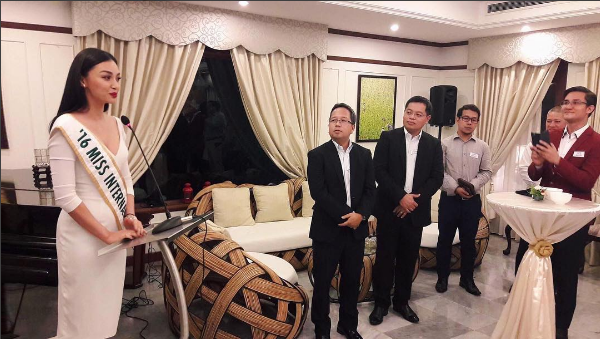 Many thanks to Philippine Embassy for graciously hosting us on Thursday evening, also, for throwing me a belated birthday surprise"
"2nd stop of the day for my Singapore advocacy tour is Lee Kuan Yew School for public policy and executive education. Perfect if you want a masters degree on public policy and foreign affairs." 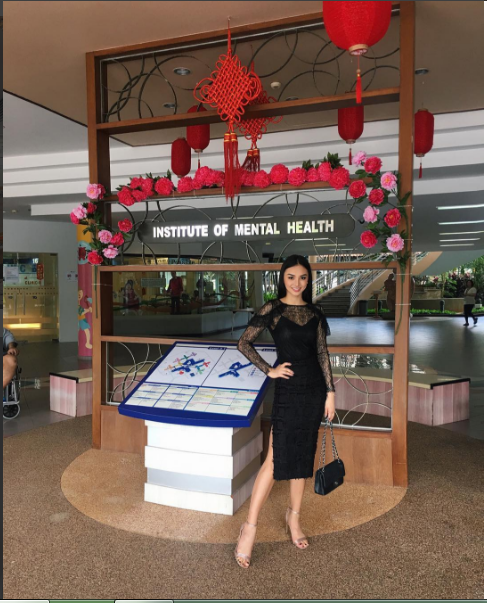 "Visited the Institute of Mental Health Singapore for my advocacy tour. The institution was wonderful because they do not only focus on pharmatherapy but wholistic treatment as well. Eg: providing a good environment, psychotherapy, preparing them for job interviews to job placements. It is something that the Philippines could use. A treatment center that would not just provide pharmaceutical care but wholistic care treatments for mental health." "Not only does the IMH (Institute of mental health) provide health care but also makes sure patients are trained for provided jobs after. This Cafe inside the institution trains and employs the patients during and or after their stay. There are arts and craft workshops and stores too, to sell their artwork. "